Let's take a break from all this San Diego Comic-Con hoopla to visit with the kind, loving, peaceful creatures that reside in the wind swept countryside known as Hulkville.Join us now as they...pick..flowers...ok no they are smashing. All the smashing. Marvel's Hulk and the Agents of S.M.A.S.H.- "Planet Leader" - The Leader becomes more than the Hulks bargained for after they get transported to Skaar’s home planet, Sakaar, where they must stop The Leader from controlling not only the entire planet, but the Hulks themselves! Skaar finds that the planet he left behind may not have missed him as much he has them…in fact they are dead set on revenge against him! 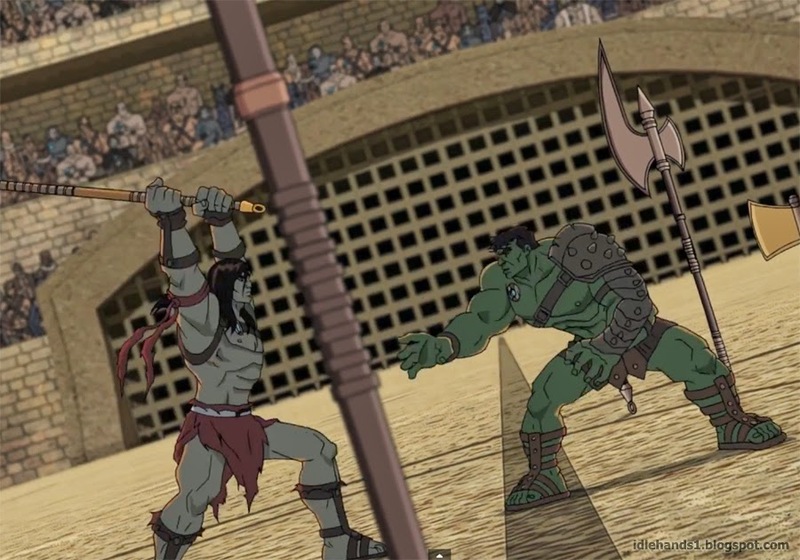 How will the Hulks convince this planet that they are there as heroes and not villains?